Kiva came to us with the goal of building an app that would allow them to more quickly approve loans to entrepreneurs around the world. With the recent addition of Kiva Zip, a new Kiva product that allows non-traditional lending institutions (such as churches and schools), Kiva was receiving thousands of loan applications and needed a process by which to crowd-source application reading. At the end of the semester, we handed the project off to the engineering team of Kiva, who will integrate it with their systems and deploy it in the coming year. 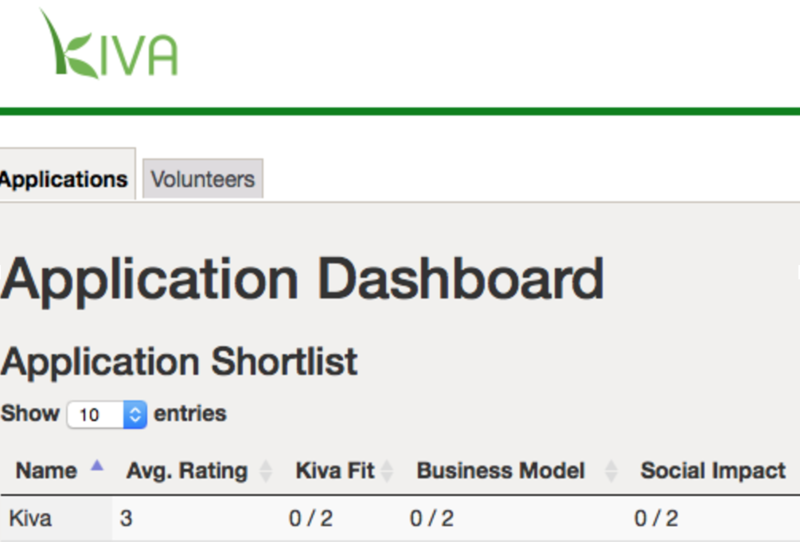 Kiva’s https://github.com/kiva/crowdvet/ repository forked from Hack4Impact’s repository. 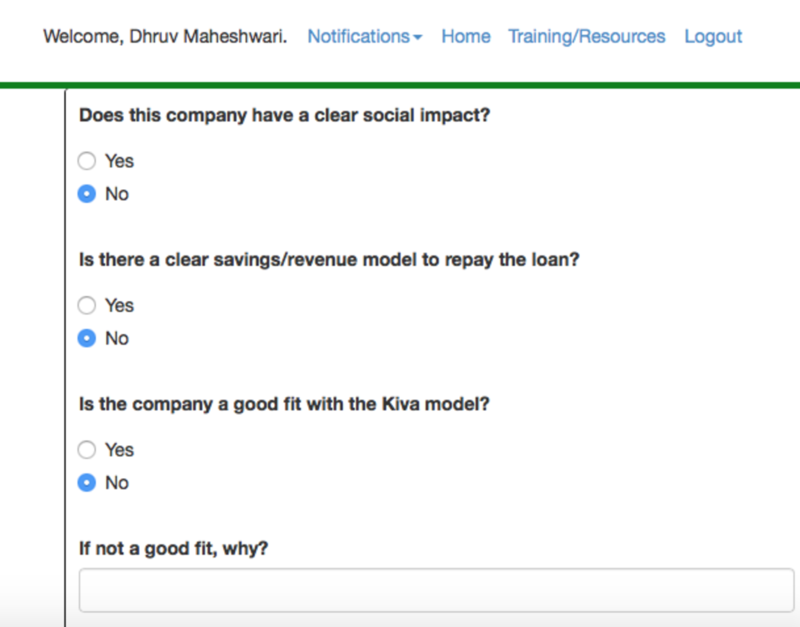 Beyond just reviewing loan applications, the “Crowdsourced Due Diligence App” needed to be a useful tool for Kiva administrators and create an effective user experience for volunteers. We sat down with a few Kiva members who gave us a detailed spec of how to accomplish those two goals.